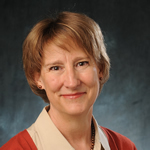 Barbara Bintliff is the Joseph C. Hutcheson Professor in Law and Director of the Tarlton Law Library and Jamail Center for Legal Research at the University of Texas at Austin. Professor Bintliff teaches a jointly listed class with the UT Schools of Law and Information on law libraries. Her publications focus on legal information and legal research topics. She has been active in a variety of national organizations including the American Association of Law Libraries, the Association of American Law Schools, the American Bar Association, the American Law Institute, and the American Bar Foundation. She served as AALL president in 2001-2002. In 2009-2011, she served as Reporter to the Uniform Law Commission drafting committee for the Uniform Electronic Legal Material Act (UELMA).